Mary Curran Hackett is the mother of two children, Brigid Claire and Colm Francis, and is married to Greg Hackett. She received an MA in English Literature from the University of Nebraska and a BA from the University Honors Program at Catholic University in Washington, DC. 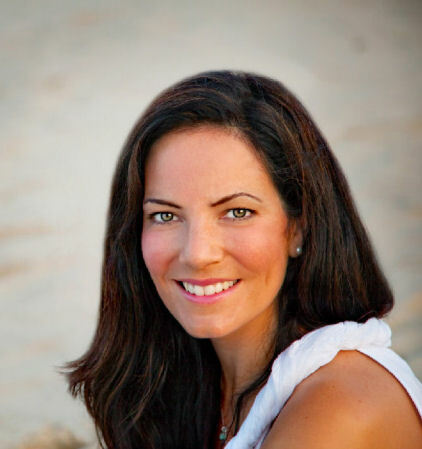 Born and raised in Danbury, CT, she has traveled extensively and lived in various places throughout the U.S., but her favorite place in the world is home with her kids, husband, and her stacks of books. Like her character Colm Magee, Mary suffers various heart and brain ailments, but thanks in part to her brother, a physician, as well as her own doctors, she now has a pacemaker and a heart that beats on its own at least most of the time. This is her first novel. But the quest to find the dying boy’s missing parent soon becomes a powerful journey of emotional discovery—a test of belief and an anxious search for proof of heaven. A magnificent debut novel, Mary Curran Hackett’s Proof of Heaven is a beautiful and unforgettable exploration of the power of love and the monumental questions of life, death, and the afterlife. 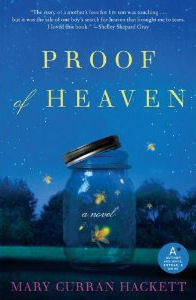 If you would like to read the first chapter of Proof of Heaven, go HERE.